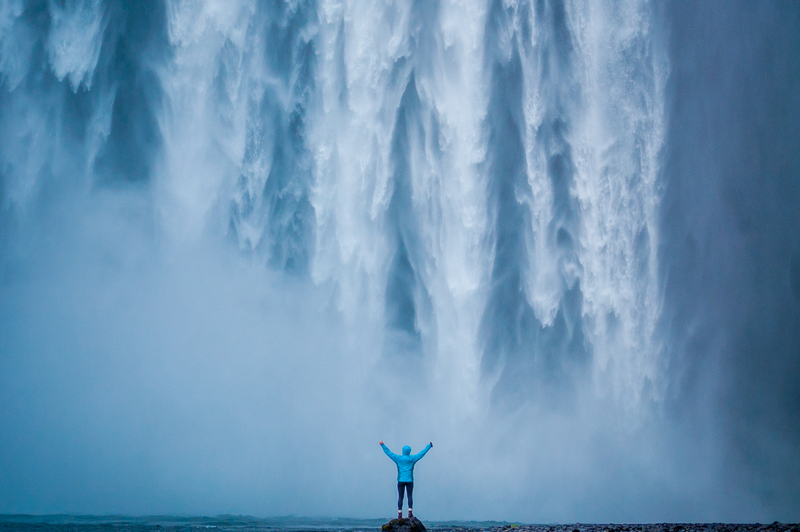 So you're getting ready to fly to the fairytale land of Iceland? Whether your tickets are booked or you are still in the dreaming phase, this post is full of tips to help you prepare for the most beautiful adventure of your life. Seriously. I have just returned from two amazing weeks of exploring this magical country and will be posting detailed trip reports for the regions that we explored - and we got almost everywhere! 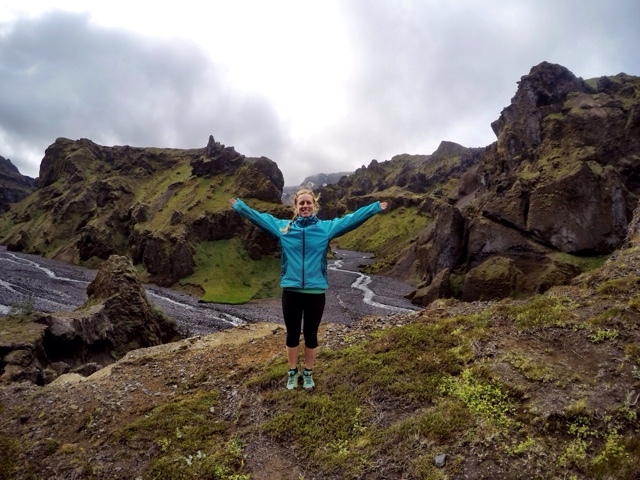 Laugavegur Ultra Marathon- why walk when you can run the most popular through hiking trail in Iceland? Read my race report here. Book a few extra days. Travel days hardly count as holidays and there are SO many things to see and do in Iceland that you will wish you had booked a few more. Book an apartment downtown in Reykjavik. If you are travelling with a group, renting a little apartment through air B and B etc is definitely the way to go for your days in the Capitol city. Everyone knows that Iceland is outrageously expensive ( everything was pretty much double the cost of our pricing in Canada) and renting a hotel is no different. Don't be surprised if you can't find a hotel room for less that $350. Yup. Sharing a little apartment with a kitchen and laundry is such a great way to go. We spent four nights in Reykjavik at 'A Part of Reykjavik Apartments' and loved having a place to call home while we were there. 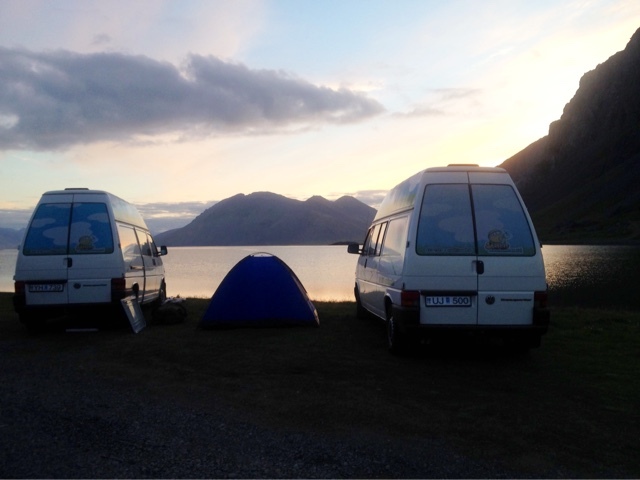 Book a camper van! 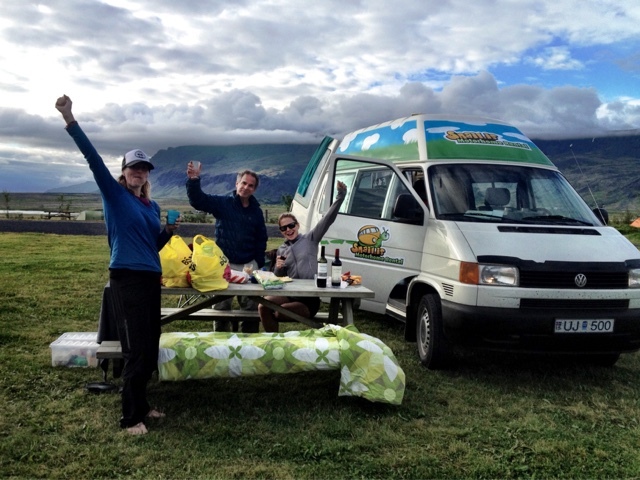 Travelling in a camper is THE best way to explore Iceland! Not only can you explore at your own pace and be spontaneous, but you can save a significant amount of money by cooking your own food and camping in the van. Gas ain't cheap (was $2 CAD this month) so try to get a diesel, but either way it is a better rate than paying for hotels, eating out ($25 sandwhich anyone?) and a car rental. There are cheaper ways to explore Iceland- such as taking the bus, risking your life cycling (DONT do it!) 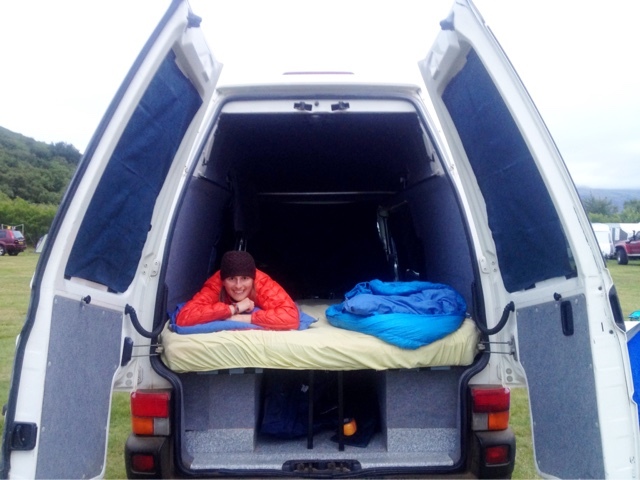 or hitching and camping- but I would recommend saving up a bit longer if it means that you can rent a van for your adventure- so that you can travel all the way around the Ring Road in style. Note: most van rentals are only for main roads and you would need a four wheel drive if intending to explore inland and the highlands. We used Snail.is and I cannot recommend them enough! We did a tonne of research and saw all of the camper an companies on the road, and we are very happy with our choice..
Gotta love a real map for dreaming and scheming along the way! Sleep mask, ear plugs, sleeping bag liner and a euro adapter for your electronics if you are coming from another part of the world. Daypack with lightweight dry bags or zip locks for your electronics and other gear that you want to keep dry. Rain gear and swim suit/towel - you will get a lot of use out of both! Waterfalls and rain will soak you and hot pots (that's what they call hotsprings) and pools will warm your along the way. Camera(s), extra batteries and cards cuz you will be giving them a serious workout. Tripod? Maybe. I brought two and never even took them out of my bag-bad I know! We were travelling as a group and during the summer (no Northern Lights for us) and long exposure opportunities didn't really arise so it was dead weight for me but bring one if you plan to use it. I had three different cameras and I used them all on a daily basis- my Nikon DSLR with both a standard 18-55mm ( used 99% of the time) and an 80-200mm zoom (which I used to capture reindeer! and the lovely horses and for my dream waterfall shot see below), my GoPro Hero 4 for the MANY wet photo ops (waterfalls and hotpots every day!) and dramatic ultra wide vistas (and selfies of course) and my iPhone for those rare times you don't have your other cameras at the ready and for quick texts/updates online. Travel clothes-think comfy and many layers as you will be in and out of the car and switching from sitting for long periods to walking about in the wilderness and in every type of weather. I wore bamboo leggings and layered my upper body with a tank top, zippy, down vest and rainjacket nearly every day. 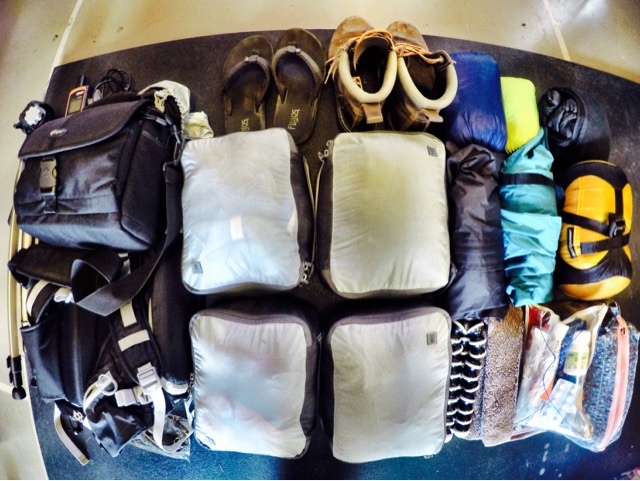 Camp clothes- another set of kit for lounging and to swap out of your wet gear if the rain follows you around. Town clothes- bring one set that you can try to keep clean for the city and your flight home. Laundry mats are hard to find and if the weather is wet you won't likely be doing laundry outside of Reykjavik while you are in the van. That being said, we had sunshine and blue skies nearly every day of our two week trip and were able to hand wash and air dry a few things along the way- the wind dries things out very quickly! Puffy vest or jacket, cap, toque and gloves. I love my Lole Women purple packable puffy! Sneakers for exploring, flip flops for hotpots and airing out your feet and a clean dry pair of shoes for camp/town if you like. I brought some ankle high leather boots thinking I would wear them on rainy or muddy adventures but they stayed in my bag cuz I love my trail runners and they were perfect for adventuring. Travel mug- included in the Snail van rental along with every single thing you will need to cook eat and sleep. Delorme inReach device for communicating home without the need of a cell plan and for finding hidden hotsprings via GPS coordinates! Livin the dream! Roaaaaad trip! Cash - you won't need it. Everywhere we went accepted cards. We took out some cash in the first day and spent the last few days trying to make sure we spent it! You will end up with a bunch of useless coins and even cash that you cannot exchange back at home so just stick with the plastic. Stock up on any alcoholic bevvies you will need for your road trip at the duty free shop in the Keflavik airport because they are significantly cheaper. The same bottle of wine was $15 CAD at the airport and $21 CAD everywhere else. I recommend trying some of the local juniper gin too! Get your groceries at the Bonus store (AKA the Pig Store). Buy lots of Skyr Icelandic yogurt omg it's good! Go to a book store in Reykjavik and pick up both editions of the Icelandic mixed 'Hot Spring' discs for the ultimate road trip sound track. These discs are loaded with fantastically smooth tunes that will match the scenery perfectly. And they are all Icelandic artists! Definitely stoked on these and they will be my road trip tunes for the year. Know what lies ahead...or don't. Because we were a little pre-occupied with our race plans (Laugevegur Ultra) we didn't do much research in advance other than choosing our must see sights along the ring road. We picked up ideas along the way through chatting with other travellers, locals and digging through books and sites each night (and with wifi in the vans) and we were still surprised by so much more than we bargained for around every corner! Two things we didn't know in advance about driving in Iceland that you should know : it is required by law to drive with your lights on all the time ... and you will be driving through mountains and under the ocean in crazy tunnels! The ring road is fantastic but it sure must have been expensive to build wow! First time driving under the ocean for me! And the mountain tunnels are very cool...except for the one that is SINGLE LANE! Pretty exciting playing chicken for six kms in the dark to say the least! Get a good road map, hotpot (hotsprings) book or site, crank the tunes and hit the road! 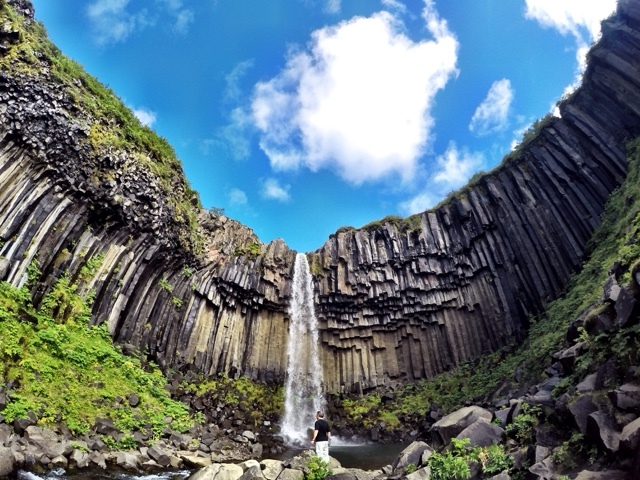 Endless adventures await you in Iceland. I never travel to the same place twice and... I can't wait to go back! 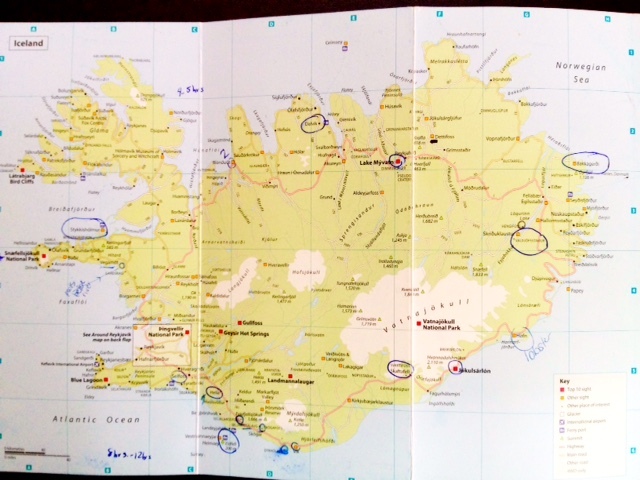 Read my Two Weeks in Iceland post to find out where we went on our adventure.